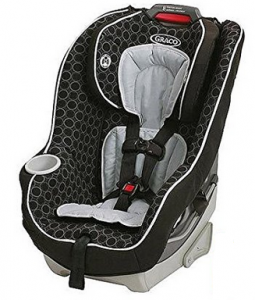 The Graco Contender 65 convertible car seat is a popular choice for parents. Why? Because it can be used rear-facing up to 40 pounds and forward-facing up to 65 pounds, and that means it can be used for a long time! 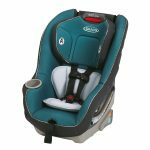 In this review, we’ll explore the advantages and disadvantages of this car seat and see how it compares to other models. We’ll also talk about safety features, price, and other things that will help you make an informed decision. There’s a lot to cover, so let’s get started. You can choose a topic from the table of contents below, or scroll down to read the whole review. 3 What Makes the Graco Contender 65 Better? 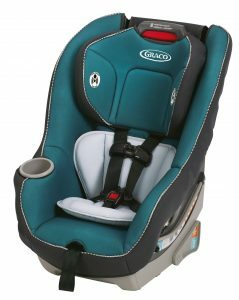 7 Can I Use a Secondhand Graco Contender 65 Car Seat? 9 Should You Buy The Graco Contender 65? The Contender 65 has an 8-position external harness adjuster, which makes it super easy to set a proper fit. It’s also less expensive than most of its competitors with comparable qualities. It had remarkable crash-test results, and it scores quite well in both ease-of-use and fit-to-vehicle. Easy to read level indicator for hassle-free installation. Convenient cup holder to keep drinks within easy reach. Carrying capacity of 5 – 40 pounds rear-facing and 22-65 pounds front-facing. 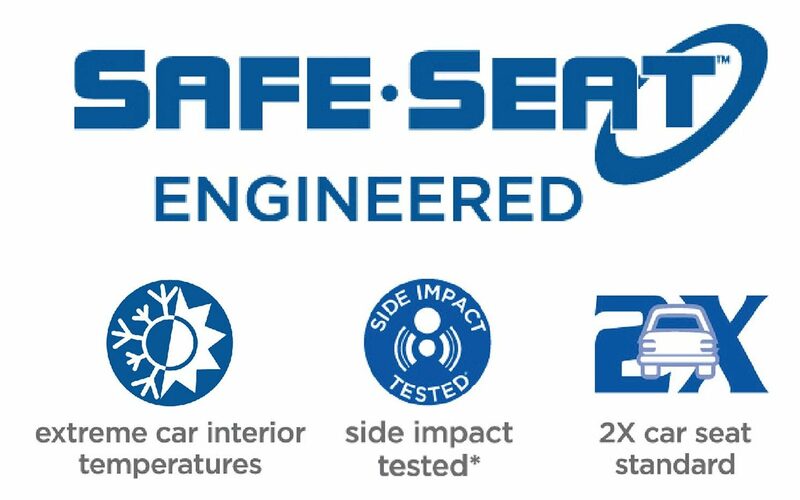 Safe-Seat engineered, crash-tested, and side-impact tested. Designed with EPS foam to absorb energy in event of an accident. Simply-Safe Adjust no re-thread harness. Infant body support system with 5-point harness. What Makes the Graco Contender 65 Better? One of the biggest benefits is its ability to transform from rear-facing to forward-facing. According to one reviewer whose three kids used this car seat over five years, buying one was like purchasing two seats in one. And it’s still going strong even after three kids! When a baby weighs between 5 – 40 pounds, it’s best to keep the car seat facing the rear. After that, it can be switched to a forward-facing car seat. Your little one can still be in this seat until he reaches 65 pounds. So what does all this mean? It means that you can use this car seat from the time your child is a newborn until he’s ready for a booster seat. It’s not like an infant carrier that has to be replaced as the baby grows older. The seat is designed with a head-and-body support system for infants. It’s easy to remove and to put back in place. This system ensures that your baby will always be comfortable whether you’re running errands or going to visit grandparents who live far way. If the confined space is starting to get uncomfortable, it’s easy to make it more roomy for your little one. You can just take out the head-and-body support without having to dismantle and re-thread the harness. Simple! 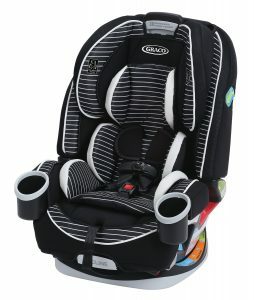 The Graco Contender 65 car seat has been carefully engineered and rigorously crash-tested. It doesn’t only meet, but it exceeds the US FMVSS 213 minimum safety standards. That’s impressive! The energy-absorbing EPS foam gives a high level of protection from impact shock, too. 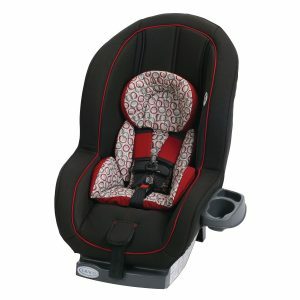 You’ll enjoy peace of mind knowing that your baby is riding in one of the safest car seats available today. Getting your child in and out of the car seat can be a major hassle. But the Contender 65 has made it a lot easier with its 5-point front adjustable harness. It’s not just about your convenience, though. 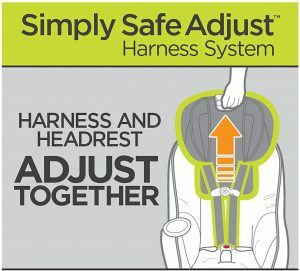 Adjusting the harness to fit properly keeps your child safe if you’re in an accident. You don’t want to rush off without making sure that your little guy is secure. So it’s great that you can get the job done right even if you’re pressed for time. With this convertible car seat, you’ll be able to keep your growing child in the best position from the time she’s a newborn. You can adjust the headrest into one of 8 different positions with just one hand. All you have to do is pull it up to a higher position as your child grows. It couldn’t be any easier! One feature that you and your child will love is the cup holder. It’s built right into the car seat, so your child can grab it himself when he’s thirsty. The clever design reduces spills, too, which is a big plus. It’s easy to install the Contender 65 using either a LATCH system or a seat belt. 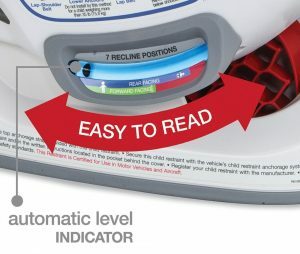 When you’re installing it in the rear-facing position, the level indicator will help you get it in just right. Remember, a car seat can only provide adequate protection if it’s properly adjusted to fit your child. This product has an integrated Simply-Safe Adjust harness system, which makes it easy to find the right fit. The harness slides up and down with the headrest, so there’s no need to re-thread it. It also means that you can adjust the harness and headrest height with one hand. That’s a huge time saver! Infants who weigh less than 20 lbs must be placed in rear-facing position. Children weighing 20 – 40 lbs may be placed in rear-facing position. See our guidelines on why the rear-facing position is safest. Harness height should be just at or below the child’s arm pits. The child’s head should be 1 inch below the top of the seat. This car seat is certified for use in the rear-facing position for children weighing up to 40 lbs. In some cases, children who are almost 40 pounds might not fit in the rear-facing position because they’re too tall. 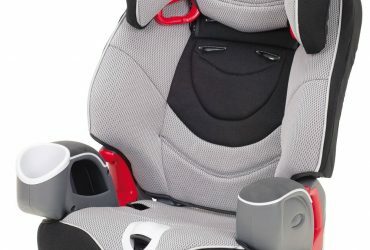 According to the recommendations of the American Pediatrics’ Academy, children should stay in the rear-facing position as long as possible until they reach the height or weight limit of the seat. So, for example, if your child weighs 38 pounds, but his head is less than an inch from the top of the seat, then it’s time to switch to front-facing. Less than 49 inches tall. Weight is 20 – 65 pounds. Are able to sit upright without any assistance. Harness height should be just above or at the child’s armpits. Ears should be below the top of the of headrest. Low birth weight or preterm infants are always at risk when they’re riding in vehicles. The American Academy of Pediatrics says that they may experience difficulty in breathing if they’re not properly placed in convertible car seats. 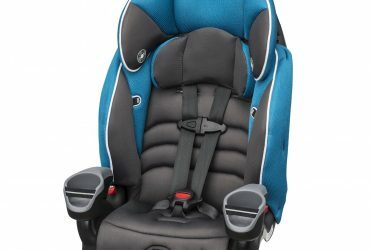 During the installation of any car seat, it’s important to follow the guidelines set by the American Academy of Pediatrics or other relevant regulatory authorities. First, make sure that the recline flip foot is in the rear-facing position. The LATCH belt will be routed through the opening marked “rear facing” in blue. To make it easier, extend the latch belt to its maximum length. LATCH connectors should be attached to the car’s lower anchors. Make sure the belt doesn’t twist and that it stays flat. Pull on the connectors a little bit to make sure that they’re properly attached to the anchor points. It’s important to press down firmly on the center of the car seat while you’re pulling the belt. That will ensure proper tightening. You should do a little test to make sure that the installation is secure. We recommend grabbing hold of the seat and pulling it from left to right and front to back. Make sure that the seat doesn’t move more than 1 inch in any direction. Check that the anchor belt stays taut and doesn’t slip from its tightened position. If you can’t get it tight enough, then you should consider changing to a different seating position. Check the level indicator while your child is seated in position and your vehicle is on level ground. The ball must not move from the blue zone. If necessary, you can put rolled towels or a pool noodle under the seat to ensure that the ball stays in the blue zone. Ensure that the recline flip foot is in the front-facing position. You also need to be sure that the LATCH belt is routed through the opening marked “forward-facing” in orange. To make the installation process faster and easier, extend the latch belt to its maximum length. Attach the LATCH connectors to the vehicle’s lower anchors. The belt shouldn’t be twisted and must remain flat. Just like before, ensure that the connectors are secure by pulling on them using moderate strength. See the article by NHTSA for details about LATCH connectors. Press down firmly on the center of the car seat to compress the cushions while simultaneously pulling the LATCH belt’s tail. Once again, it’s a good idea to check to see if the seat is installed securely by grabbing it and trying to move it in each direction. If it moves more than an inch, it’s not tight enough. If you can’t get it tight, try a different position. It’s important to note that manufacturers of certain vehicles have recommended relatively low maximum weight ratings for anchors. So be sure to read your car’s user manual, or consult with an expert about your car’s LATCH anchor limits. The Graco Contender 65 car seat is specially designed with a body support system for the smallest children. It’s only used for rear-facing and only when the shoulder harness is in the lowest position. When your child gets too big for it, you just take it out. Harness covers and the head pillow play an important role in preventing head injuries if you’re in a wreck or have to stop suddenly. Just make sure that the harness straps aren’t twisted and that the covers don’t prevent the chest clip from being secured at armpit level. Some vehicles don’t have any tether anchors in them. In those cases, you can secure the car seat using tether hooks. When they’re not being used, you can store the tether hooks in the back of the car seat. The car seat user manual gives instructions on how to do this. Compared to other seats we’ve reviewed, the Graco Contender 65, was surprisingly easy to clean and maintain. To clean the head support cover, use a damp sponge, cool water, and mild soap. Or, just take it off and toss it in the washing machine. Be sure to use cold water and let it drip dry. The same thing goes for the seat cover. You can spot clean it with a damp sponge or machine wash it. It’s also important to clean the buckle every now and then. If you let too much dirt and gunk build up in it, the latch might not close right. The manufacturer recommends using only warm water to clean it. Don’t use soap or detergent on it. If you need to clean the harness straps or the LATCH belt, you should just use a damp cloth and mild soap. Don’t submerge them in water because it will weaken the fibers, and you don’t want that to happen! 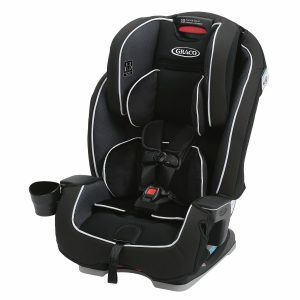 Can I Use a Secondhand Graco Contender 65 Car Seat? Experts strongly advise against the practice of using secondhand car seats. 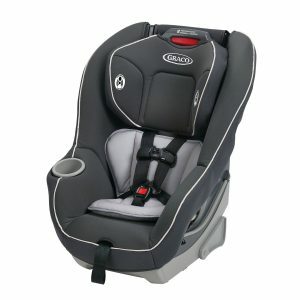 If you’re interested in getting a good convertible car seat like the Graco Contender 65, then you should buy a new one. It’s not because Graco wants more money, either. It’s for your child’s safety. You never know what a secondhand car seat has been through. It could be worn out or broken and you wouldn’t know it. Don’t gamble with your child’s safety to save a few dollars. Another advantage of buying new is that you’ll have a manufacturer’s warranty on your car seat. You won’t get that with a secondhand one. By the way, if a part does break or wear out, you can replace it. You can buy spare parts and accessories from some local retailers and from online stores. The harness straps are easy to adjust. To tighten, you just pull the harness adjustment strap at the bottom front of the seat. To loosen them, there’s a little lever that you lift while you’re pulling the straps up. These open by pressing the tabs and pulling them apart. Just snap them back together to close. You can confirm that chest clips are properly locked by pulling outward on both halves. Buckle your little one up by inserting both tongues into the buckle. Then pull them up to confirm that they’re locked tight. 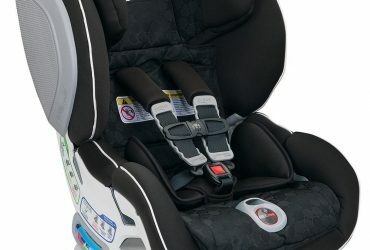 To unbuckle, you lift the lever at the bottom front of the seat and pull up the shoulder harness straps to loosen them. Then you can press the red button and pull out the tongues. Your child can’t be in the seat when you adjust the crotch strap. First make sure that the recline flip foot is facing forward. Then you have to get hold of the metal retainer on the bottom of the seat, rotate it a little, and push it up through the slot. When you need to change the location of the crotch buckle, you have to make sure that the latch belt passes between the two latch belt lines. Next, insert the crotch strap into the desired slot. Last of all, pull up the crotch strap to ensure that it’s secure. Use of the recline flip foot is straightforward. When you want to have the car seat rear-facing, flip it to the rear-facing position. The ball in the level indicator should be in the blue area. To change the car seat to the forward-facing, just flip the foot to forward-facing. You don’t need to worry about the level indicator when it’s front-facing. If your child is less than 3 months old, ensure that the ball is completely in the light blue zone. If your child is slightly more than three months old, the level indicator should be partly in dark blue and partly in the light blue zone. If the ball is partly or completely in the red, it means the convertible car seat isn’t level, and you’ll need to adjust the recline position. See the Graco level indicator safety page for more details. Should You Buy The Graco Contender 65? There are plenty of reviews on Amazon and other forums by people who have bought this car seat. Most of them say that they believe that it was worth every penny and they got a lot of value for their money. We think you should consider the Graco Contender 65 because it has a high weight capacity for both rear-facing and front-facing. You won’t need to worry about your baby growing out of it anytime soon. Even better, it has the Simply-Safe Adjust harness system that makes adjusting the headrest and harness height a breeze. Removable head-and-body support system for infants. Level indicator that’s easy to read and understand. Weight range from 5 – 40 lbs rear-facing and 22 – 65 lbs forward-facing. 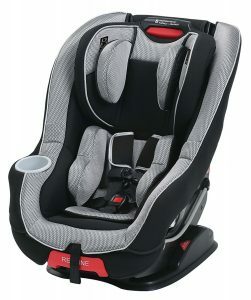 Other exceptional features are the cup holder, adjustable recline, and easy to adjust headrest and no re-thread harness. And don’t forget those comfortable cushions that you can just throw in the washing machine. 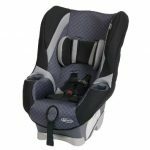 If you are looking for a car seat under $150 that safely holds kids up to 49 inches tall and weighing up to 65 pounds, we recommend the Graco Contender 65. You can head over to Amazon and get one of these great car seats today by clicking below. 12.8 lbs. 15.2 lbs. 16 lbs. 19.4 lbs. 19.5 lbs. 22.8 lbs. My husband and I bought a Graco Contender -65 car seat several months ago, and we’ve been content with it ever since. Even though we own different car models, the seat perfectly fits in each of the cars. My son is extremely comfortable whenever he gets into it. Even though he’s quite tall for his age, he can still perfectly fit, especially since the product has a high rear facing height. I was pleasantly surprised to discover that it has a Simple Safe- Adjust harness system which provides room for adjustment of the headrest height and harness. I did a lot of research on car seats since I really needed one and since I have quite a small car, I was hoping to find one that wouldn’t occupy all space at the back. When I bought the Graco Contender, I was pleasantly surprised to find out that it perfectly fit in my small car. The installation process was extremely easy. My ten month old baby is always happy to occupy it, judging by the verbal and non-verbal expressions that she gives. I encourage anyone looking for a perfect car seat to consider buying the Contender. Thanks for the great review. I am happy to see that the seat is easy to clean, because that’s one of the biggest challenges of these things. They can get pretty gross pretty quickly and it always seems like a Herculean effort to get the cover off and back on with ease. Unlike other seats we’ve reviewed, we love that the Contender 65 is very easy to clean, the covers being completely removable and machine washable. The buckles can also be rinsed off to remove any buildup. Graco recommends to just use warm water to rinse the buckles. Thanks for stopping by! little older. Also that it fits nicely in different car models. You are very welcome! We love helping parents pick the best car seat for their little one. Yes, being able to accommodate children from infancy all the way up to 65 pounds (49 inches tall) is one of the biggest advantages of the Graco Contender 65. Thanks for a great review – it’s great to find that it can be used for a long time, along with the Simply Safe Adjust makes it a good buy! Thanks! Many thanks for your detailed review! This seat sounds like that it is well worth the money. I totally agree with you not to settle for a second hand seat for the reasons you’ve described. Love the fact that you can continue to use the Graco as the baby grows. Easy cleaning is certainly another big plus point. Thanks for all the information! I love that it can be used up to 65 pounds. I also am excited that it works rear facing up to 40 pounds. I live in CA where the car seat laws have changed. It is now required to rear face up to 2 year old. This car see will definitely be more comfortable for an older baby. Yes indeed! Recent cash test research has shown that rear-facing is up to 5x safer compared to forward-facing. I’m glad to hear that CA has made it required to rear-facing until age 2. The 40-pound weight limit for rear-facing is a huge plus. Just need to make sure child’s head is 1 inch below the top of the seat when in rear-facing mode. After that, just switch to forward-facing and you can use this seat up to 65-pounds (and 49 inches tall). Hi Lauren, yes, both the head support cover and seat cover are removable, and machine washable. We found the Graco Contender 65 to be surprisingly easy to clean compared to the other convertible car seats we have reviewed. Fantastic review – I really like that the seat can convert from rear facing to forward facing. A car seat should be one that lasts and gets the job done well. Also the cup holder – great idea. I found this to be a very informative article. I didn’t know anything about buying a baby seat and I know I have a much better idea what to look for. Even if don’t buy the Graco Contender 65, you have done a great job informing parents about what features to look for in a baby seat. Our goal is to help families become more informed about the various ratings of car seats and other baby related products by providing concise reviews. There is a lot of misinformation out there and we would like to present the most up-to-date factual information in a useful and organized manner. Thanks for stopping by!